I love food and to cook and bake. I'm such a glutton aint I? because of the gelatin, your spoon falls in so smoothly! Special tools: a round cutter, piping bag with round nozzle. 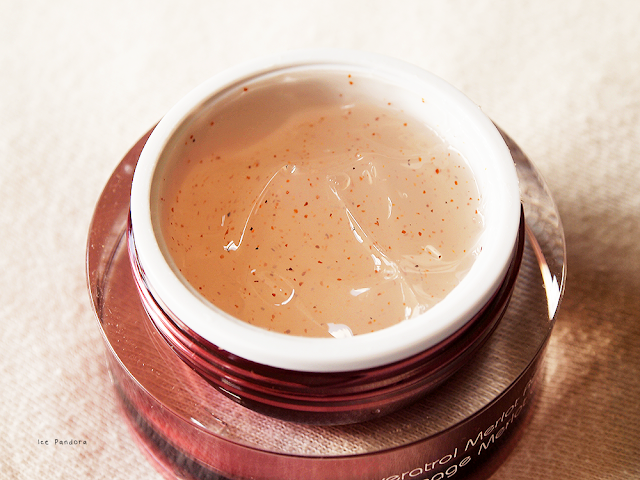 With the leftover eggwhite, you can make a facial masks, meringue. Macarons perhaps even? Pretend this Oreo is your worst enemy and smasssh it! This is where the real mess started really. 1. 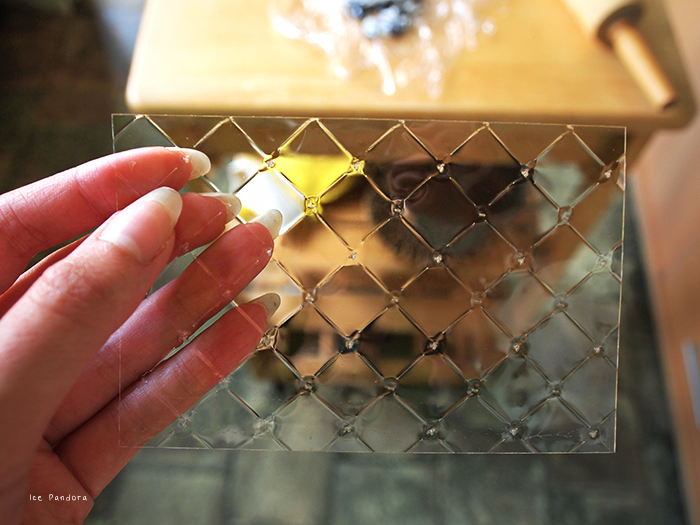 Soak the gelatin sheet in water till it get soft (see picture). Combine the crushed Oreo's with the melted butter. 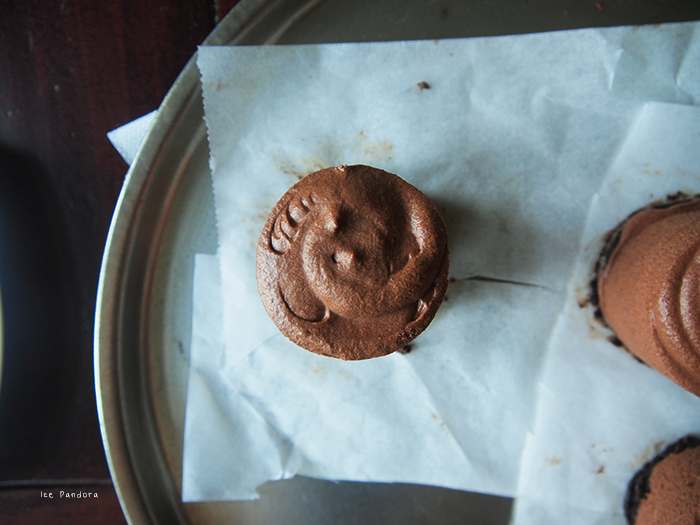 Spread this on a baking sheet and cut round circles with a cutter. Let it cool in the fridge. 2. In the saucepan goes the milk and the soften gelatin, let it boil on low heat. 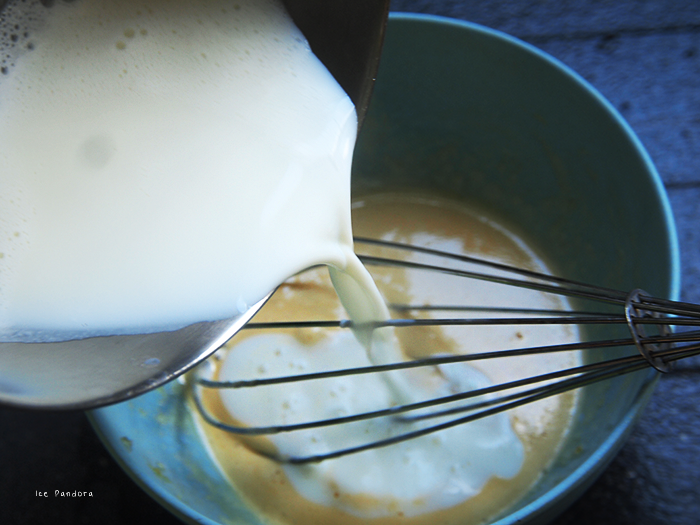 Meanwhile whisk the yolk with the sugar till its creamy. 3. 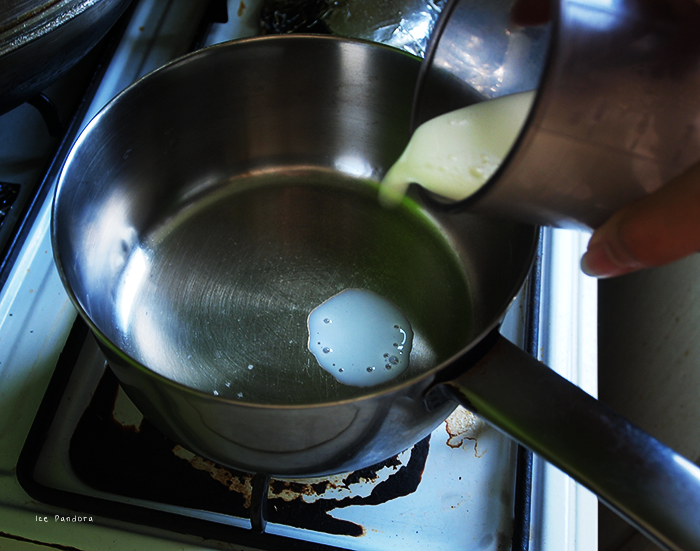 When the milk starts to boil, stir this hot milk into the egg mixture. Once everything is combined, pour it back into the pan and let it simmer for further combining. It should be creamy looking. 4. 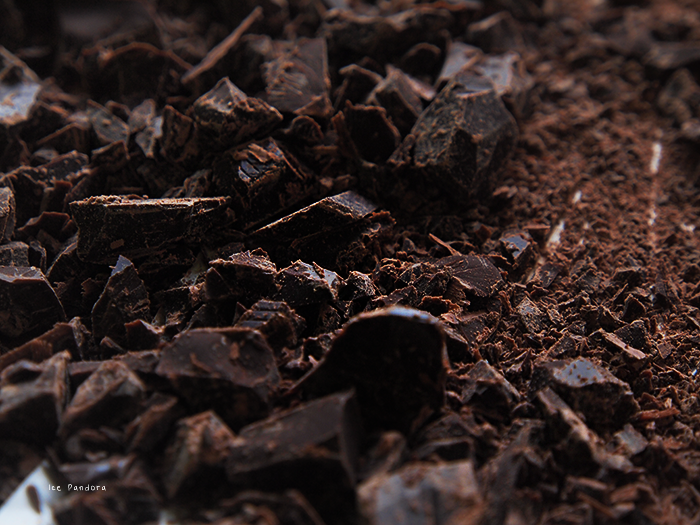 Remove the pan from the heat and stir in the chopped chocolate. Allow to cool. 5. 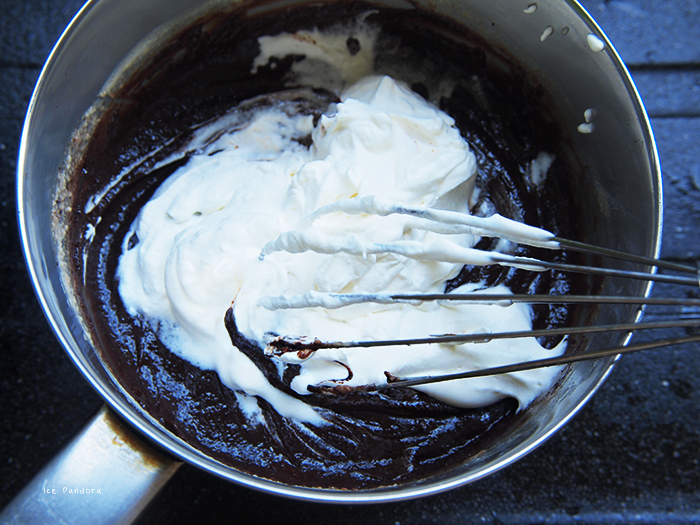 In a new clean bowl, whisk the cream really thick. 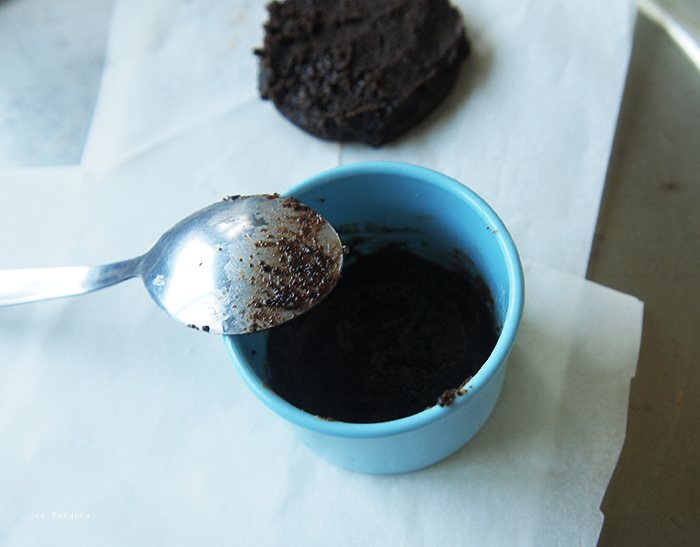 With a spatula, fold this into the chocolate mixture. 6. 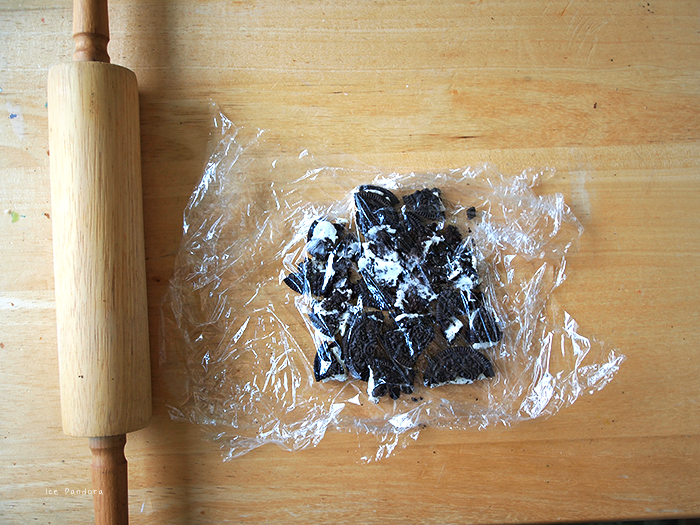 Get your Oreo bottoms out of the fridge and piping bag ready and fill it with the chocolate mixture. 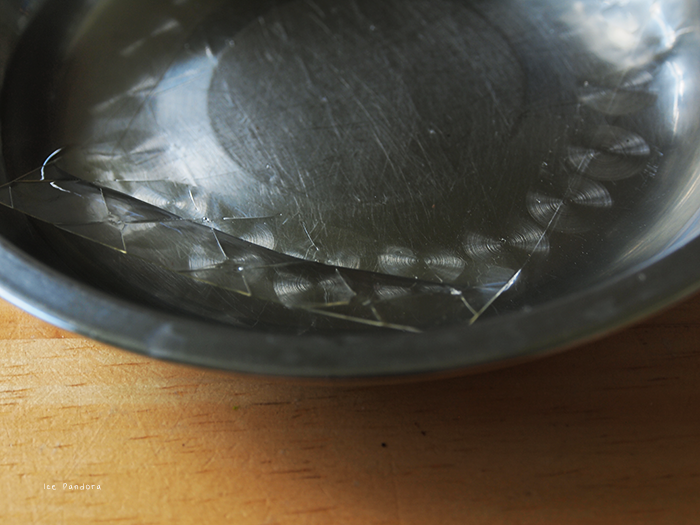 With a round cutter, fold the baking paper therein (see picture) to create a mold. 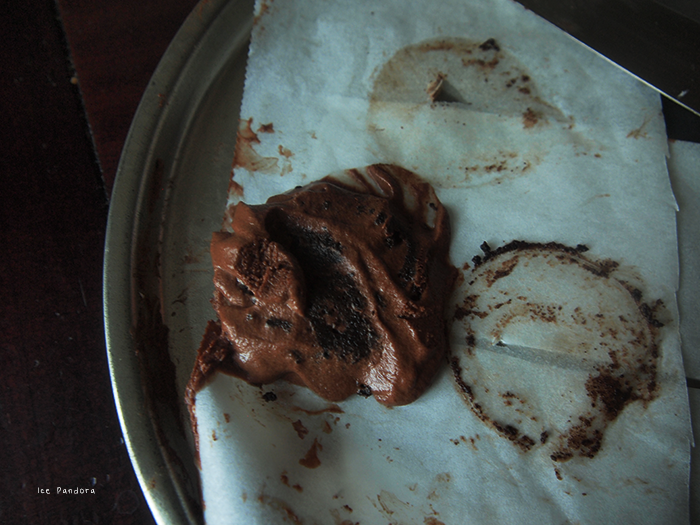 Secure the baking paper with a little bit of water/oil. This must be on top of the Oreo bottom. 7. 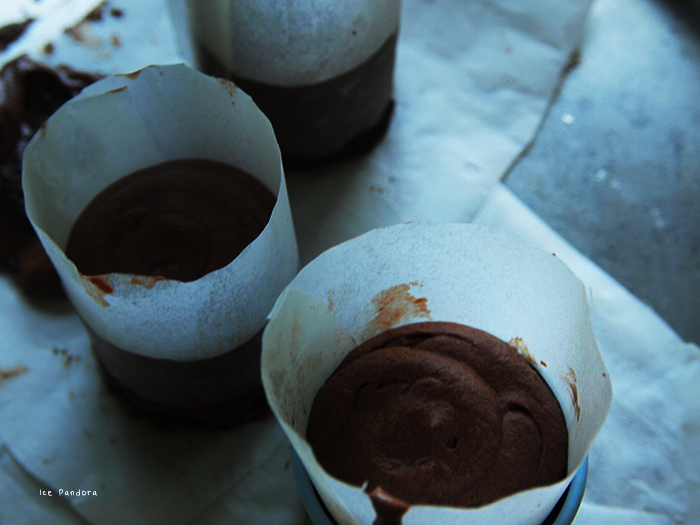 Pipe the chocolate mousse in the baking paper. 8. Let it stiff in the fridge for atleast 1 hour. 9. Remove the baking paper, and garnish with your favorite fruit. Man that mousse look so yuuuummm....!!! gulp gulp gulp! looks so rich and delicious! I definitely got to try making this one day :D !! Asdfghjkl wow that looks absolutely amazing and my mouth is watering haha! 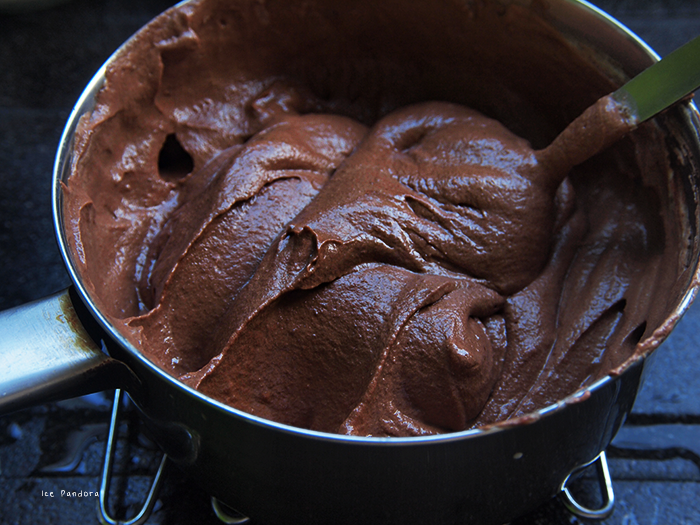 Damn!, this looks way too good :) I wanna have a bite of it and maybe lie in this mousse dream haha. Oh wow that looks really, really good and delicious and mjam! it looks so yummy and good! I'll make this in the future with my sister. Thanks for your lovely words, it is much appreciated! Can I just say: this looks sooo delicious! Aaaaah wat lekker! Dit ziet er echt TE goed uit (en te slecht eigenlijk ook wel haha). omg dat ziet erg echt heerlijk uit! Ga ik zeker een keer maken! 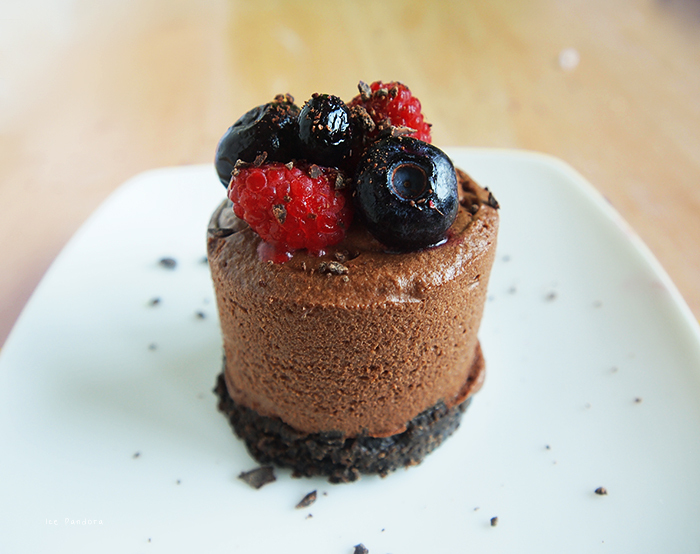 Wow, beautiful photos and what a lovely decadent dessert! 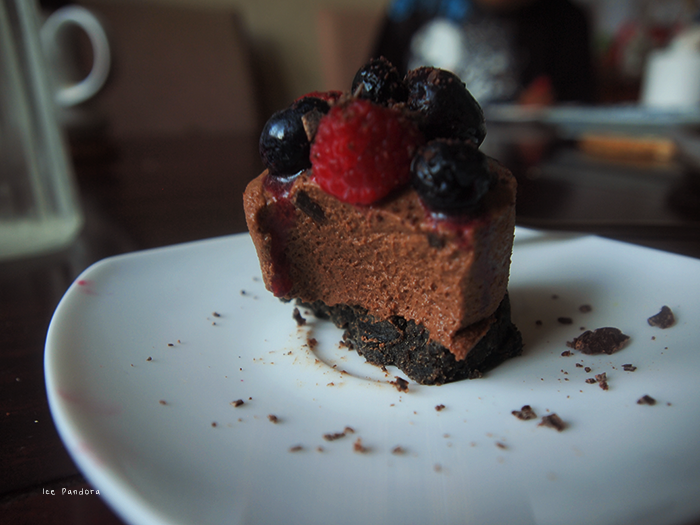 (In case my last comment didn't publish) What beautiful photos and a lovely, decadent dessert! Wow wow woooww ♥ I need to try this thanks so much for sharing!! DROOOOOL! OMG! This looks amazing.. i'm such a glutton too! This looks so delicious =) Great job chef ;) I wanna give this a try too! Oh my goodness! Looks so delicious! 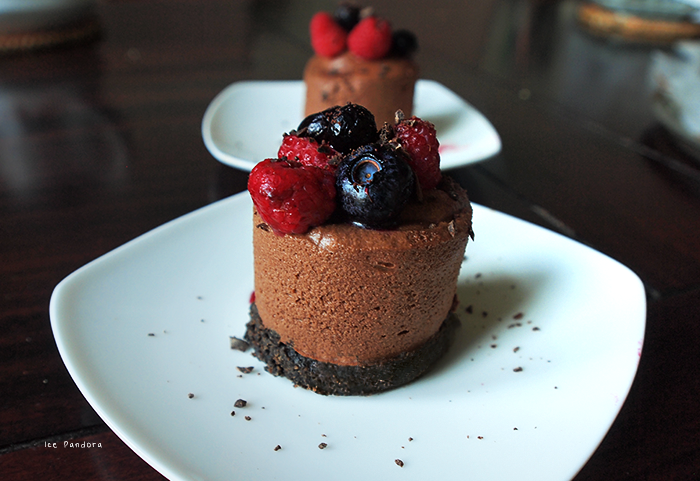 Your chocolate mousse turned out so beautiful and yummy too. Ooooh I really need to try making this. Look so yummy. oejumjum, dat ziet er zooo lekker uit! 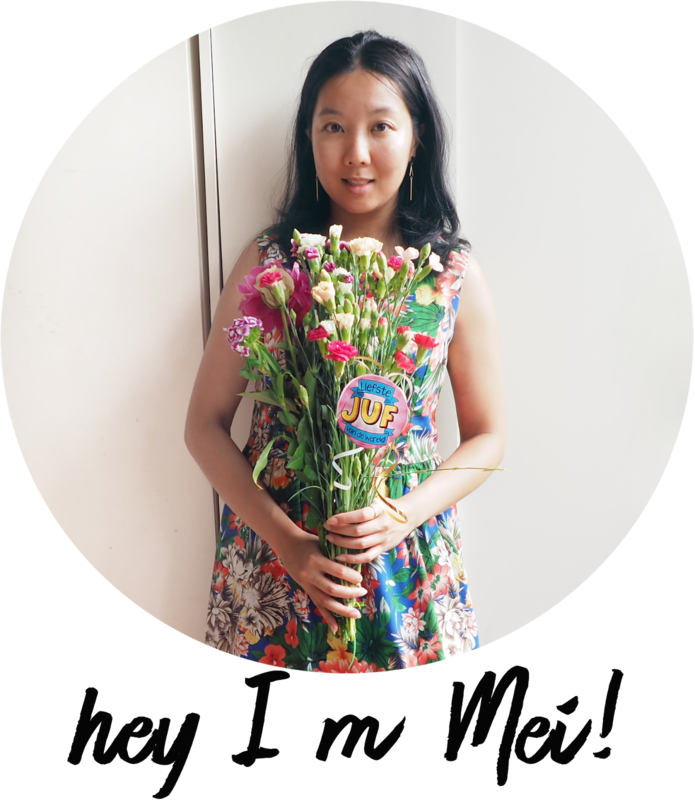 Would you like to follow each other via GFC & Bloglovin? im such a bad cook but i definately want to try this out! o-m-g! this looks fantastic~! I would've thought they sold this at the store. thanks for sharing!! very useful recipe and doesnt look too difficult either. Easy baking. Love it. Definitely worth it. Totally drooling! This looks so so yummy! Vine Vera - a scam or fan? Have you heard of beauty brand Vine Vera before? No, me neither until I was in London when I passed a shop/spa and a salesman lured me in with a free moisture day cream sample. And the salesman whom is a foreigner immediately turned into a cunning selling mode by letting me try on Vine Vera’s peeling treatment on my hand, telling me how big my pores are (gee thanks), the discounts and all the ‘promising’ results and glory of Vine Vera. It was like a home shopping TV channel but then in real life. Firstly, Vine Vera is hella expensive! And the salesman was not giving up in selling me the ‘resveratrol merlot peeling’. I was trying to nope-my-way-out to all his offer and he finally offered me the peeling for £50 instead £100. 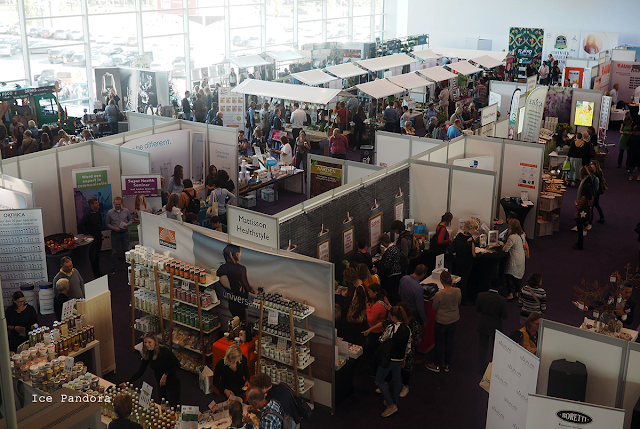 Along with a free hand cream, a free spa facial treatment (didn’t go due my short stay in London), a spatula and another handful of free samples - I surrendered. This is probably my most expensive peeling yet.